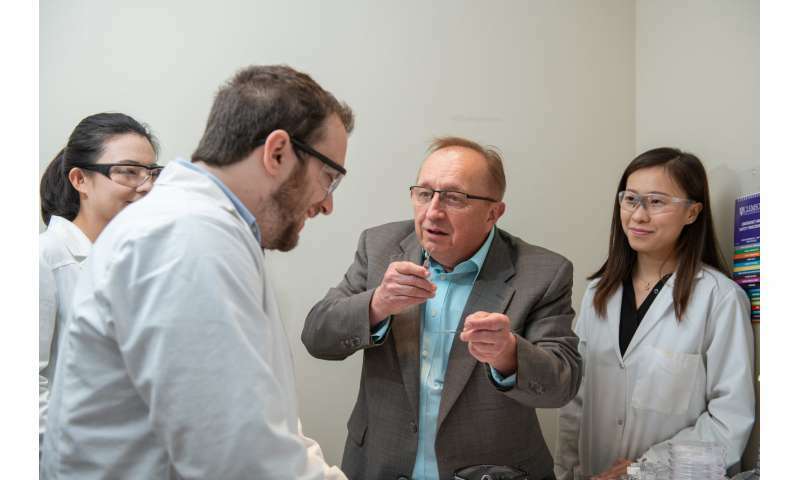 Marek Urban and his team wrote about how they were able to give self-healing qualities to polymers that are used in relatively inexpensive commodities, such as paints, plastics and coatings. The next step is to go from making small amounts in a lab to producing large quantities. "It's not available at the industrial scale, but it's very close," said Urban, who is the J.E. Sirrine Foundation Chair and Professor in the Department of Materials Science and Engineering at Clemson. Researchers have been making small batches of self-healing polymers for the last two decades, but producing them on a commercial scale has so far been largely cost prohibitive. Urban said he and his team took advantage of interactions between co-polymers that he likened to spaghetti strands with little brushes on the side. The longer the spaghetti strands get, the more they become entangled, he said. The side groups interlock like two interlaced hands, making it harder to pull them apart, Urban said. "At the same time, they like each other," he said. "So, when you pull them out, they come back together. It becomes self-healable at that point. "As simple as this may sound, these studies also revealed that ubiquitous and typically weak van der Waals interactions in plastics, when oriented, will result in self-healing. This discovery will impact the development of sustainable materials using weak bonding which becomes collectively very strong when oriented." What's significant about his latest breakthrough is that if a company wanted to bring the technology to market, it would no longer have to build a new factory to produce self-healing polymers, Urban said. Urban estimated that increasing the scale to make polymers or paints by the hundreds of gallons could be done in six to 12 months. "For anybody who wants to make these types of self-healing materials, they would have to essentially design a synthetic process and scale it up," Urban said. "The key is that the scale-up process would have to be precisely controlled. There is a huge difference between making something in the lab and scaling it up. We know the technology is available for them." The article is titled "'Key-and-lock' commodity self-healing copolymers' and marks the second time since 2009 that Urban has detailed his work on self-healing polymers in Science. Co-authors on the more recent article are Dmitriy Davydovich, Ying Yang, Tugba Demir, Yunzhi Zhang and Leah Casabianca, all of Clemson University. Rajendra Bordia, chair of the Department of Materials Science and Engineering at Clemson, congratulated Urban and his research team. "Science is a highly selective, high-impact journal," Bordia said. "Dr. Urban's latest article further solidifies his place among the world's leading scholars in polymers and especially on self-healing polymers. His success is well deserved." Anand Gramopadhye, dean of the College of Engineering, Computing and Applied Sciences, said Urban's success underscores the level of scholarship he brings to the college. "Dr. Urban is consistently published in the world's leading academic journals and is often honored with awards by his peers," Gramopadhye said. "I congratulate him on his latest article in Science." 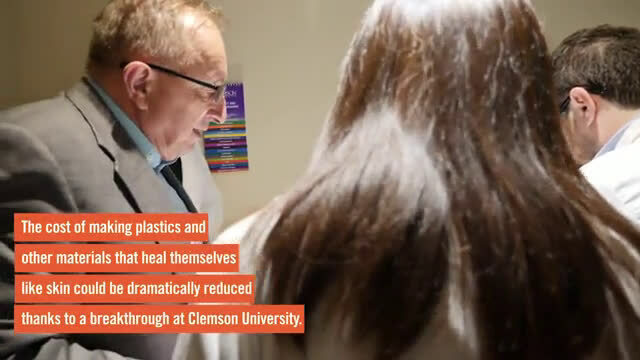 Urban said he had the idea for the research before he arrived at Clemson but didn't have the team in place to find what causes self-healing behavior. "It's very easy to design something by essentially mixing things up and say, 'Oh look, this self-heals, but we don't know why,'" he said. "The difference with our team is that we know exactly how to design these systems. We understand the limitations, we have analytical tools to measure, and we understand what it takes for this technology to go to the next level. "Thus, the question is: do you have the right people to do this? We are very fortunate—Clemson is the best place to do this."